St. Sophia Cathedral is to the left (but not in the picture). St Michael Golden Dome Monastery is to the right (but not in the picture). 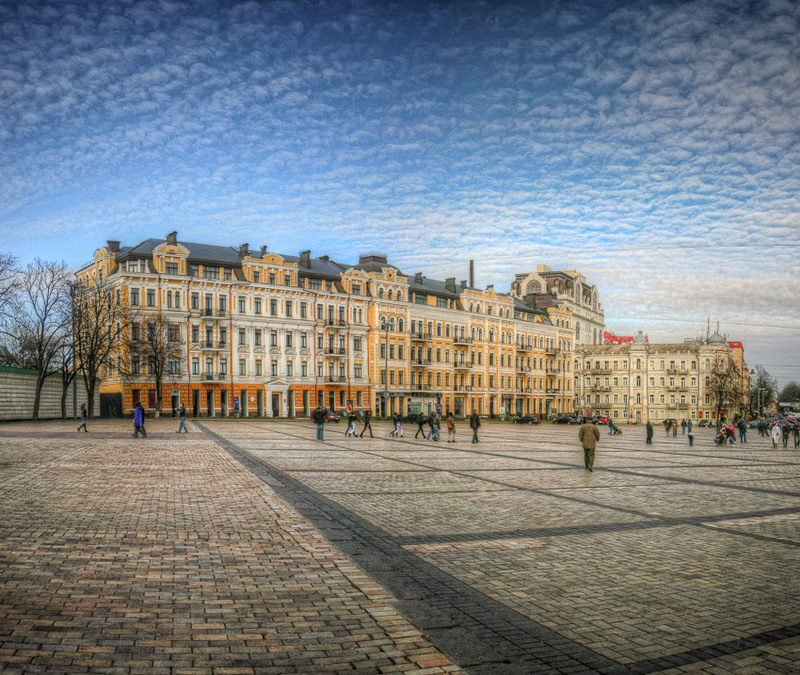 This is a panorama created from two images, and an HDR created from three different exposures of those two images.